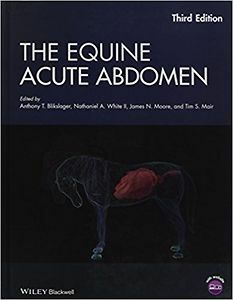 Written and edited by leading experts on equine digestive diseases, The Equine Acute Abdomen, Third Edition, is the preeminent text on diagnosing and treating acute abdominal diseases in horses, donkeys, and mules. It provides the critical information practitioners need to effectively diagnose and treat any disease of the stomach, intestines, peritoneum, liver, and abdominal wall in horses. 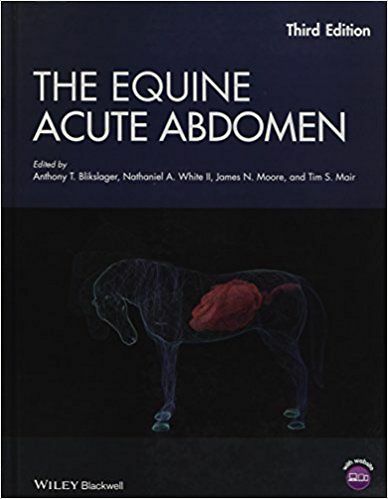 The Equine Acute Abdomen, Third Edition, features contributions from 39 internationally recognized experts in their fields. It covers all clinical aspects of acute equine abdominal disorders for clinicians and veterinary students. The all-inclusive text features normal anatomy, pathogenesis, diagnosis, treatment planning, medical and surgical treatments, postoperative care, complications, and critical care. Topics covered in detail include physiology, pathophysiology, intestinal motility, gastric ulcers, intestinal parasitism, epidemiology, prognosis, decision for surgery, shock and fluid therapy, abdominal imaging, pain management, nutritional management, anesthesia, intestinal viability, colitis, microbiome, biosecurity, gastrointestinal diseases in foals, laminitis, abdominal trauma, and details on specific diseases.